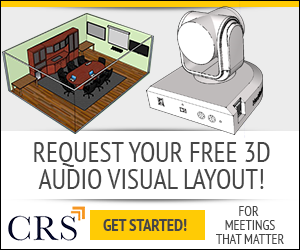 What's easier than conducting a important meeting right from your home office? 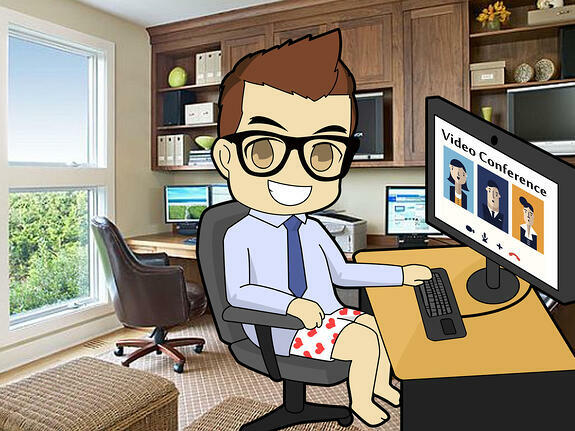 If you are hosting, joining or conducting webinars and online meetings from your home office, check out our "7 Tips for joining Online Meetings from your home office". 1. Don't get too comfortable. Were going to dig into the details here but just remember you are at home and your attendee's might not be. Let's be honest, most people working from "the office" are going to be a little jealous. Lighten the mood and dress professionally. Absolutely, the biggest problem with video conferencing from home offices. I have seen it time and time again because the lighting is almost always coming from either a overhead light or a window. Tip #1: Use your natural light first and supplement artificial light. Tip #2: What your most likely missing is lighting on your face. A simple light next to or behind the monitor will help. Just look at home much better it looks when you add a Blue Backdrop to your home office. 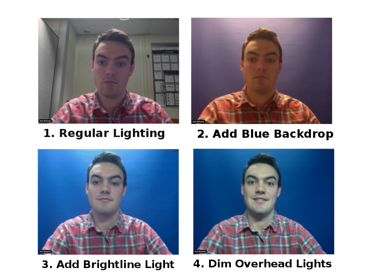 Blue Backdrop screens cost roughly $150 but check out the WebAround which costs only $35. If you have pets, find a way to keep them out of your video conference call. It may sound funny but there is nothing worse that a dog barking in the background of your call. Just because your working from home doesn't mean your not in the business mind set. I always prepare an adgenda as a my back-up meeting organizer. Here is something you might not think of. Dimming the overhead lights allows will allow the camera to adjust to the room and show your real flesh tones. Just take a look at the results.